Sometimes I prefer to watch a movie the old-fashioned way. 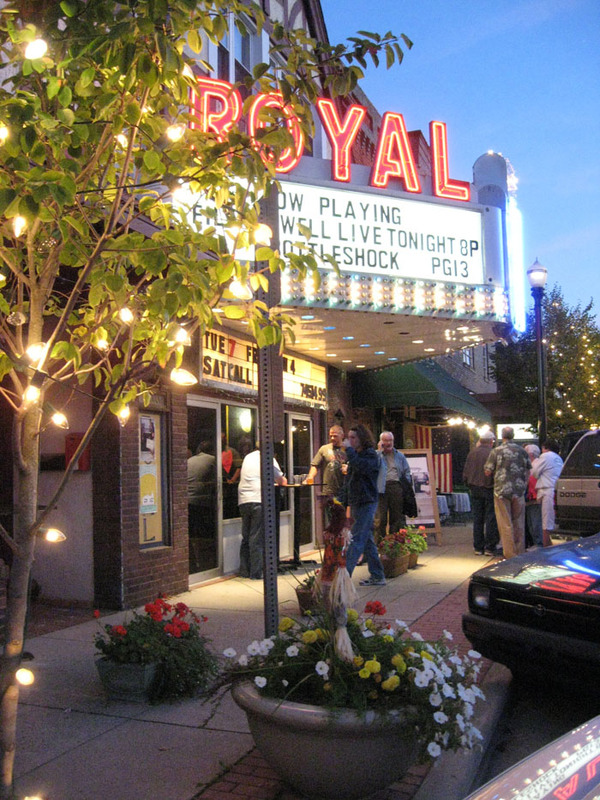 When that special mood strikes, I set my sights on the Royal Theater in Danville, Ind. Stepping into the Royal is like stepping back in time. 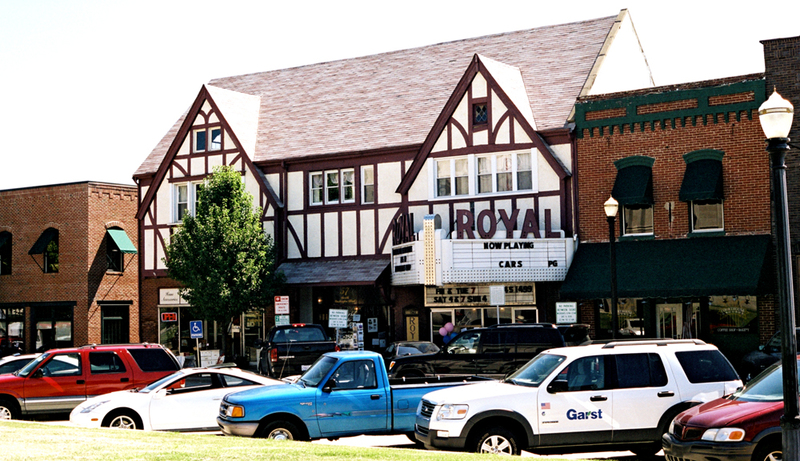 This grand old Hendricks County theater, which screened its first film in 1914, exudes character. When I walk under the venerable, triangular marquee and into the lobby, a nostalgic chill overcomes me. Somehow, I can picture sophisticated moviegoers from 10 decades ago standing in my very spot. I sense that I am about to watch a movie the "right" way. As I swing open the doors from the lobby to the theater, I am captivated by the blue-rippled, gathered fabric that impressively gives the illusion of massive window coverings. Above each draped "curtain," from the front of the theater to the back, is a golden, elegantly lettered "R." Glowing sconces above the cursive lettering emanate radiant light. Royal, indeed. I plop down into one of the comfortable, 200-plus chairs and soak in the history while ceiling fans gently revolve. Showtime is about to begin on the large screen, but a traditional short precedes the main attraction. This time, it&apos;s a "Looney Tunes" classic. 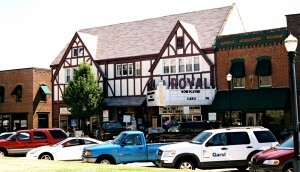 The Royal Theater doesn&apos;t live in the past, though. The movie offerings are up to date. Recent first-run features include the family-friendly "We Bought a Zoo," "Jack and Jill" and "Happy Feet 2." When the feature film ends, I savor my favorite part of this 98-year-old gem on the Hendricks County Courthouse Square. As credits roll and silence pervades the theater, I can hear the film churning through the feed reel of the movie projector. The old-time sound comforts me. 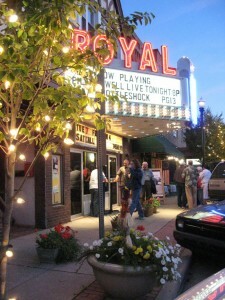 At the Royal, experiencing history is just as important as experiencing a movie. And it comes at an inexpensive price. Movies are $5 (matinees $3), children 2-12 $3, younger than 2 free. Concessions include popcorn, soda and a big pickle. If there is a line at the concession stand, lobby fixtures, such as a "101 Greatest Movie Quotes" poster, keep you entertained. Films, however, aren&apos;t the only entertainment at the Royal. A large, wooden stage in front of the screen serves as a platform for concerts. A Songwriter&apos;s Showcase on Jan. 28 features four musicians. Tickets are $10, and beer and wine are available. On Feb. 18, acclaimed singer-songwriters and storytellers constitute the Miracles, Myths, Lyrics & Lies, an evening of stories and songs with Carrie Newcomer, Krista Detor, Philip Gulley and Scott Russell Sanders. Movies, music and memories. All are on full display at the stately Royal Theater.